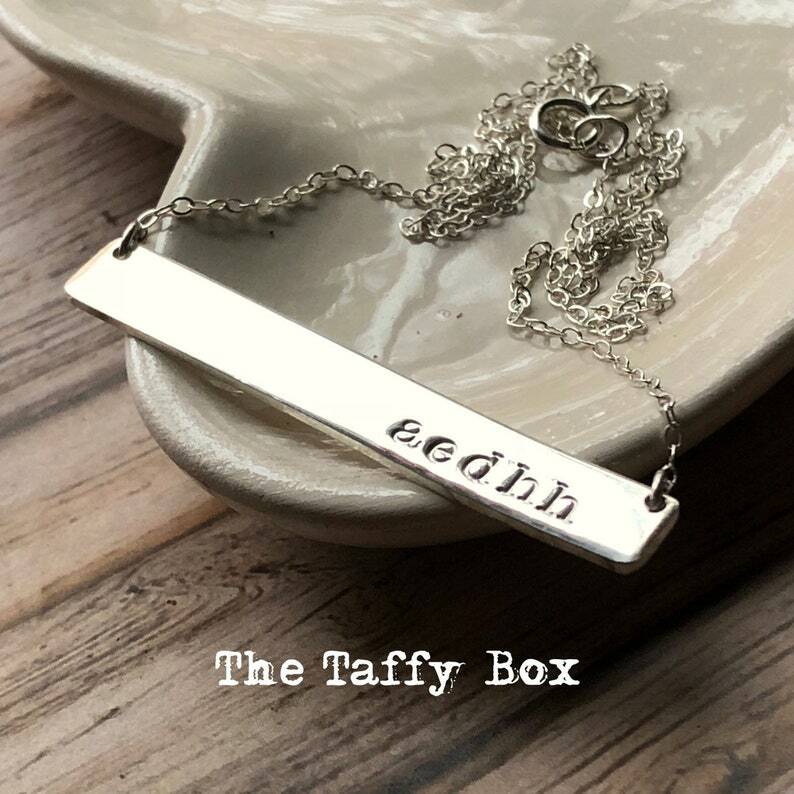 1 1/2” by 1/4” sterling silver bar necklace hand stamped and hangs from 18” sterling silver link chain. Typewriter (lowercase) font is shown but other fonts are available. Number of characters depends on type of font you would like- please send me a note if you have any questions.